B Film (Série B) by Robert Lemay. 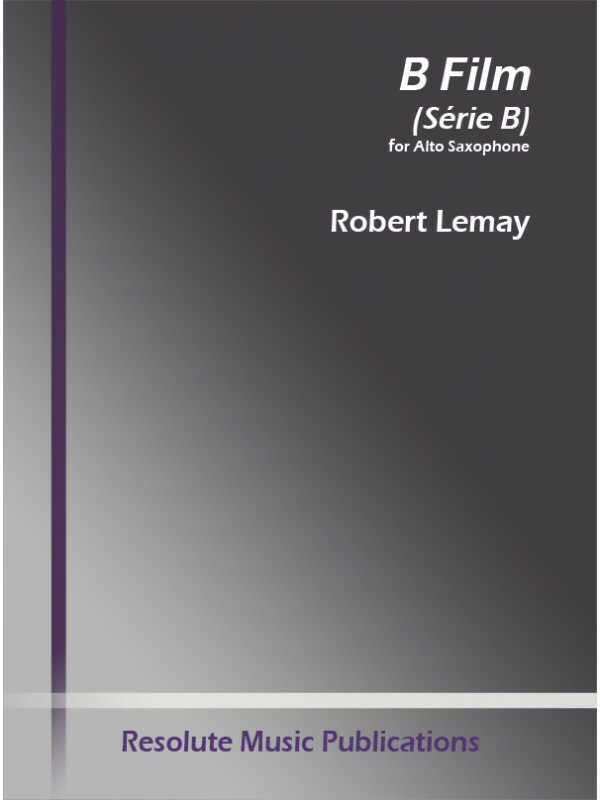 An original work by Robert Lemay, in which the saxophonist is a musician and actor. The narrative is part of the musical text, and it will require the interpreter some investment in the execution of the work so that the rendering thereof is consistent. 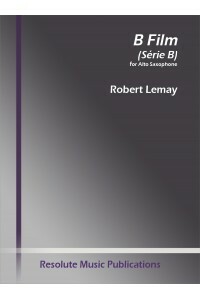 From a simple instrumental technique, the writing of this piece is very clear and precise. Initially, one creates a game between syllables and instrumental formulas matching these resonances, and slowly these syllables transform in small phrases. Then comes a quick and energetic movement, where the saxophone shows its instrumental virtuosity (but technically nothing scary!). Characters are mixed from the percussive to the quiet, expressive to the quick, and this takes us to a final humorous scene where the interpreter tells us "bye bye". The main work of this piece will focus on diction and interpretation of the narrative, as well as extreme nuances and precision of articulation. My opinion: this piece, full of humor, delights musicians as well as the public. It will allow students reluctant to contemporary music to approach this musical style in a fun and pleasant way. ---comments by Monsier Stéphane Sordet, translated from original French text.